Lunch was herby lamb loin chops, sweet potatoes and gems squash filled with stir-fried mushrooms and spinach. 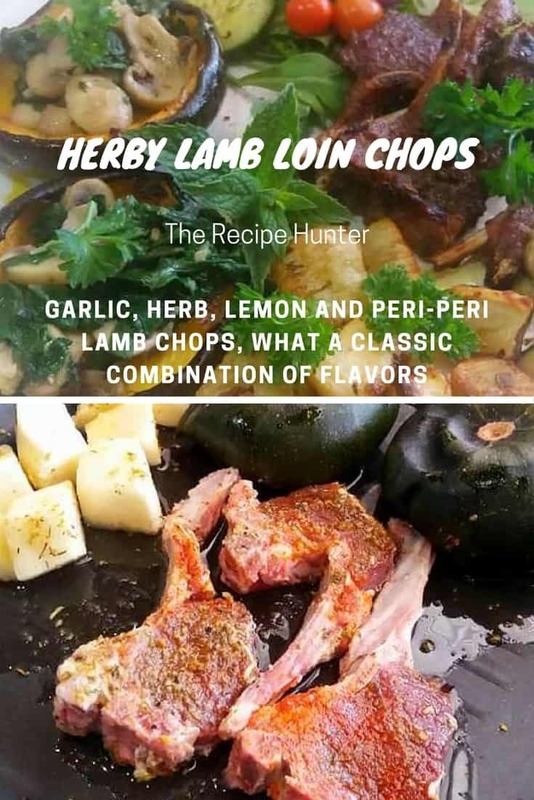 The chops don’t need to marinate long to take on great herby flavor. Mix first 4 ingredients and 1 tablespoon avocado oil in large bowl. Add lamb; turn to coat. Add steamed gem squash and cubed sweet potatoes. Add lamb; cook until browned, about 3 minutes per side. Transfer skillet to oven and roast lamb chops to desired doneness, about 10 minutes for medium-rare or golden brown. Transfer lamb to a platter, cover, and let rest.